Coach's Corner - HOF Greats multi signed Winchester Baseball Mitt 7x11 sign! Go Back to Lot List HOF Greats multi signed Winchester Baseball Mitt 7x11 sign! 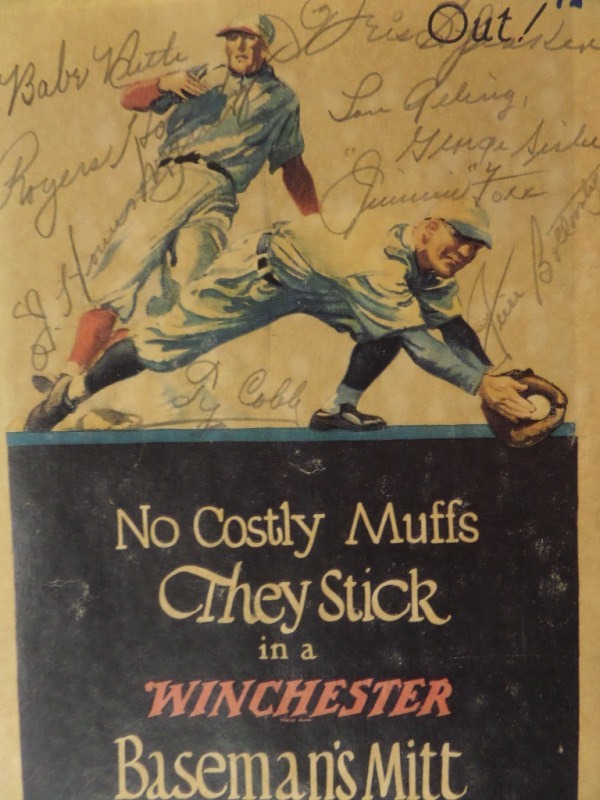 This color ad for Winchester Baseball Mitts is from the 1920's, and is still in VG+ condition overall. It is hand-signed in pencil by 9 of the greatest players to ever grace the diamond, including Ruth, Hornsby, Wagner, Cobb, Speaker, Gehrig, Sisler, Foxx and Bottomley, and with all of them long gone, retail is low thousands, to be sure!